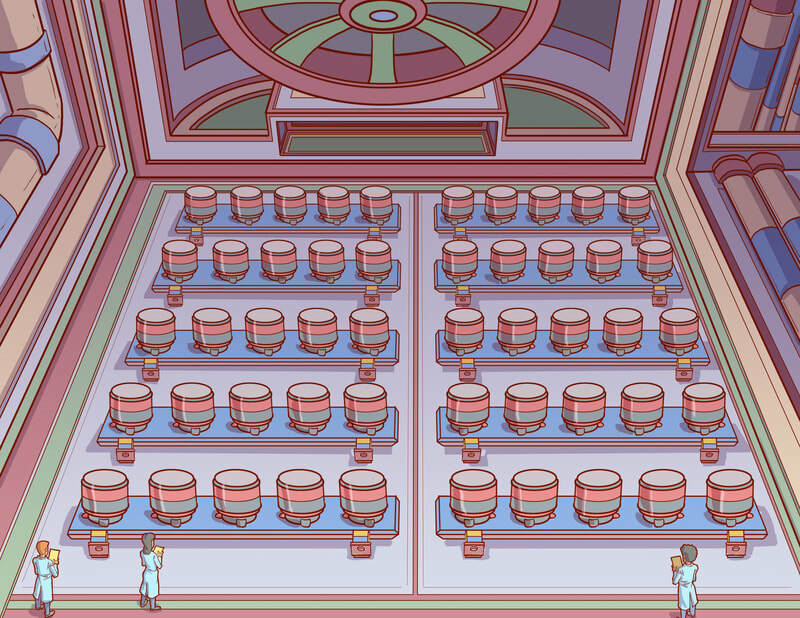 Merge Math & Science deliver immersive storytelling straight to the classroom! To win a grant, Milky Way Getaway Tourism scientists task the students with creating dimensions for a spaceship engine bay that can fit the requisite number of engines needed for interstellar travel. Students create a scale model of the engine bay to demonstrate that the engines will fit inside of the spaceship. Milky Way Getaway Tourism uses the students' models to win the grant! They can now upgrade their science facility to build spaceships that can reach distant solar systems. Merge Programs use our Immersive Storytelling Teaching Methodology to teach elementary students standards-based math and science. 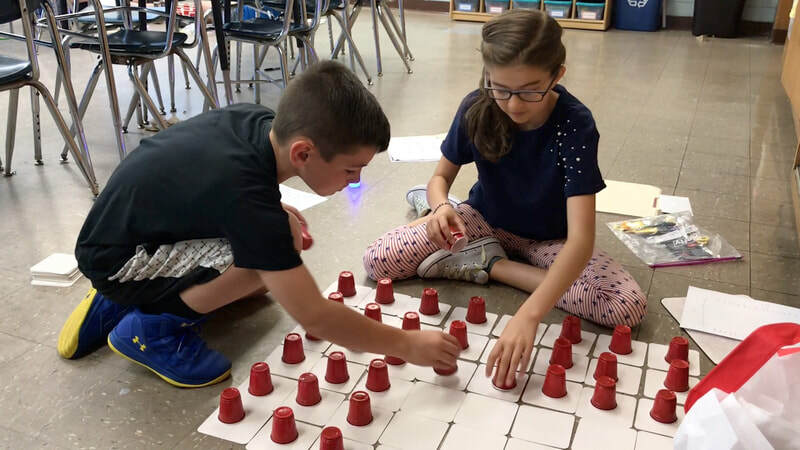 Our hands-on activities require students to apply mathematical and scientific reasoning to complete tasks that help characters succeed within the story. To create this immersive teaching environment, students interact with original multimedia that is delivered via Submerge's online story portal and as physical props inside a kit that is sent to the classroom. Each unit of Merge is aligned with the appropriate Common Core Math or Next Generation Science Standards, and can be used as the classroom curriculum or to provide enrichment that supplements curricula already in place. Merge Programs tell the story of Fiona Kepler, a pre-teen rocket scientist who is methodically working towards her lifelong dream of interstellar space travel. Milky Way Getaway Tourism's (MWG) investors threaten to leave once they suspect that Earth is the only planet that humans can inhabit. To alleviate the investor's concerns, Fiona and the students observe & analyze Earth's atmosphere and weather patterns to create the Planet Selection Guide, the criteria needed for human habitation on other planets. Students devise a method for investigating their local weather: collecting and measuring rain; observing and describing cloud cover; and recording temperature from thermometers (NGSS ESS2.D). These measurements are compared to data taken from varying climates on Earth (ESS3.D). The students use their investigative frameworks and measurements to prepare a “Guide” that will help Fiona, the story’s main protagonist, succeed in her mission. 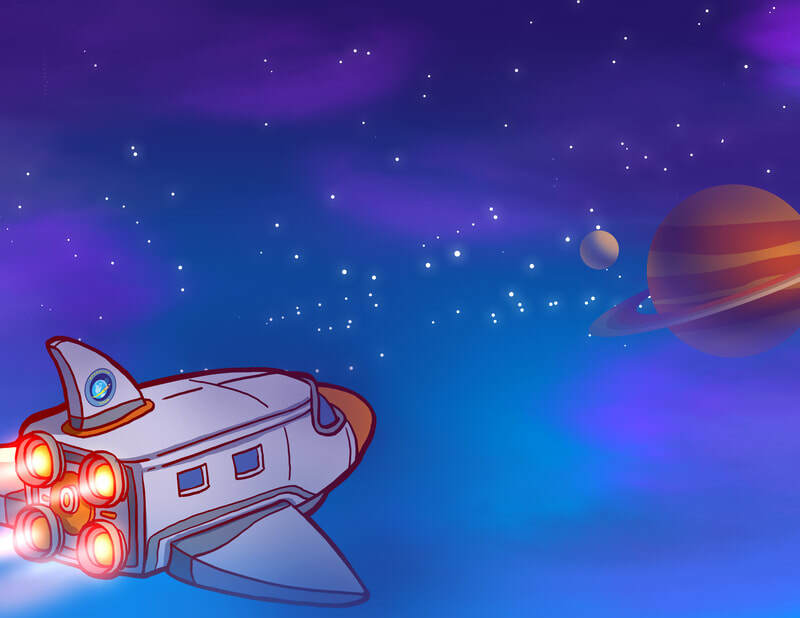 ​MWG Tourism licenses Fiona’s ‘Posmonitron Light Speed Engine’ to build vacation resorts on other planets. Fiona realizes that MWG may select a destination planet riddled with geological hazards. To help MWG identify safe planets for humans, Fiona collaborates with the students to create a detailed report about Earth’s major geographic features and geological processes. Students will collect data from a mock volcano; map volcanoes across regions; and find patterns in the distribution of Earth’s volcanoes (e.g. the Ring of Fire) (ESS2.B). Students observe, measure and record the impact of erosion on their ‘sediment sample’ over several days. Students discover ‘fossils’ in their sample, then compare samples with each other to identify commonalities (ESS2.A, ESS1.C & ESS2.E). Students design, build and test structures to help minimize the impact from simulated earthquakes (ESS3.B & ETS1.B). Shelly Brutus, a skeptical insurance adjuster at Dodo Bird Galactic Insurance asserts that MWG is uninsurable because there is no drinking water on other planets. Fiona and the students create a model connecting Earth's hydrosphere and biosphere with the geosphere and atmosphere to convey under what circumstances a planet can support life, as Earth does. ​Students build, test, observe and compare Hydrosphere Simulators in groups to understand the role of the water cycle in defining different climates. (ESS2.A). The conditions in each simulator vary by climate (ESS2.C). The culminating activity entails students comparing the effects from their respective 'climates.' Finally, the Hydrosphere Simulators become polluted, and students must assess the problems and devise solutions (ESS3.C). ​To disprove McBobo's barrage of false allegations, students will use their understanding of fractions and geometry to create a two-dimensional floorplan of the spaceships Engine Bay (3.G.1; 4.MD.3; 5.G.3); create "crystal elixirs" for the Posmonitron engine (3.NF.1-3; 4.NF.3-4; 5.NF.3-5); and build scale three-dimensional models of the Fiona Posmonitron (5.MD.3-5). Students will also write and present persuasive arguments that refute McBobo's claims in the media. Ready to learn more about merge? ​uniquely engaging curricula & enrichment for grades K-5.